Illegal Israeli paramilitary colonizers uprooted, Saturday, dozens of Palestinian olive saplings, and cut trees, in Ras Karkar village, west of the central West Bank city of Ramallah. 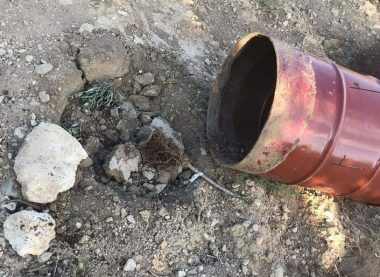 The WAFA Palestinian News Agency said the Israeli assailants invaded lands, owned by Khaled Samhan, in the northern part of the village, and uprooted 70 olive saplings. Many of the saplings had been planted in barrels, which were overturned by the paramilitary colonizers. WAFA added that the attackers also cut many trees on his lands, and wrote racist graffiti on the large cement cover of an underground water reservoir. On Saturday at dawn, another group of illegal colonizers cut dozens of Palestinian olive trees, owned by a local resident identified as Nathmi Dheidi, in ‘Arraba town, south of Jenin, in the northern part of the occupied West Bank.